Over the past several months, several of you have asked me for more details about the logistics of our travels. This is the second post in an ongoing series about how we travel. If there’s something you want to know more about, feel free to leave me a comment and perhaps it will be a topic for a future Bottling Process post. Giving him a job at the campsite. We inadvertently stumbled into the best tactic for giving us the time to set up the campsite while Van is not underfoot and also not getting into trouble. At one of our earliest camping spots on this trip, we asked Van to collect sticks and put them in the fire ring. Little did we know that he’d be such a committed gatherer that he’d amass a serious amount of wood for our fire. And he keeps doing it – every single night we camp – without being asked. He’s busy, we can set up the tent and make dinner, and we can have a nice fire after dinner. It’s a win, win, win! Membership to a science or children’s museum. When my mother was asking for birthday gift suggestions for Van, knowing that we’d be traveling and not wanting to get him something large or unnecessary for our travels, I suggested that she get him (and us) a membership to a children’s or science museum. Many science and children’s museums provide reciprocity at other museums around the country, allowing members to get in for half price or even for free. Since we are not going to be in one place this year, there was not an obvious museum at which we should become members. I did some research and found a museum (The Boonshoft Museum of Discovery in Dayton, Ohio) that not only provided reciprocity for one of these types of museums, it provided reciprocity at over 300 science and technology museums, almost 200 children’s museums, and almost 200 zoos and aquariums. Amazing! We’ve had the opportunity to visit the Explorium in Lexington, Kentucky, the Adventure Science Center in Nashville, Tennessee, the Children’s Museum of Denver, and the Denver Museum of Nature and Science. And we have a long list of museums we’re excited to check out in the months to come. 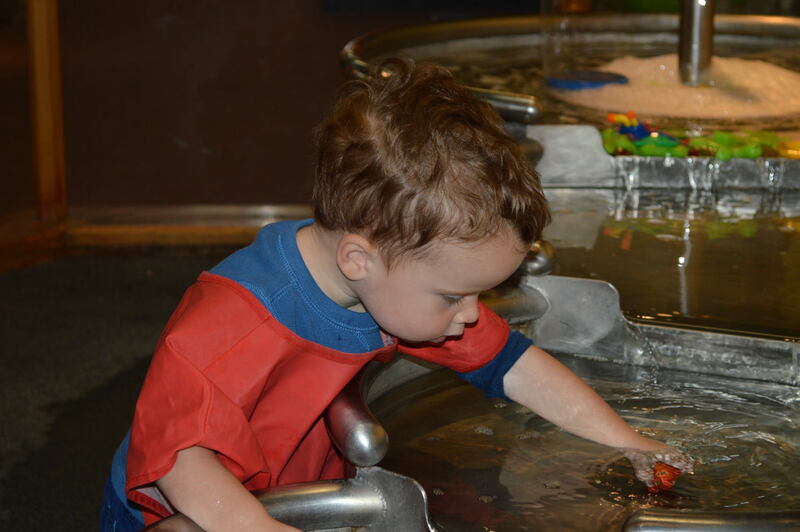 In addition to giving us the opportunity to visit a number of museums of interest to us at a reduced cost or for free, visiting these types of museums is great for rainy days, hot and humid days, or days when Van desperately needs some kid time after too many activities that are more exciting to his mommy and daddy. Libraries. I am a huge fan of libraries – I worked at a library all through high school, we’ve planned this journey largely from library books, and we regularly frequented our local library before we began traveling. But, as great as libraries are for local residents, they are just as great (if not better) for traveling families. Van LOVES books, but we can’t bring too many with us given our lack of space. Solution? Regular trips to the library! But, not only do many libraries have a great selection of children’s books, more and more libraries also have a play area stocked with different toys – puppets, blocks, magnets, coloring pages and crayons, kitchens, play theaters, you name it! And while Van’s busy playing and reading, we can check our email and our update the blog thanks to free wi-fi in many (but not all) libraries. And you can’t take the clean bathrooms and running water for granted, either. Making our own meals. I imagine most folks traveling the country on a long-term basis make most of their own meals for cost and comfort reasons, but there are additional benefits when it comes to traveling with kids. Kids can only sit still for so long and so often. 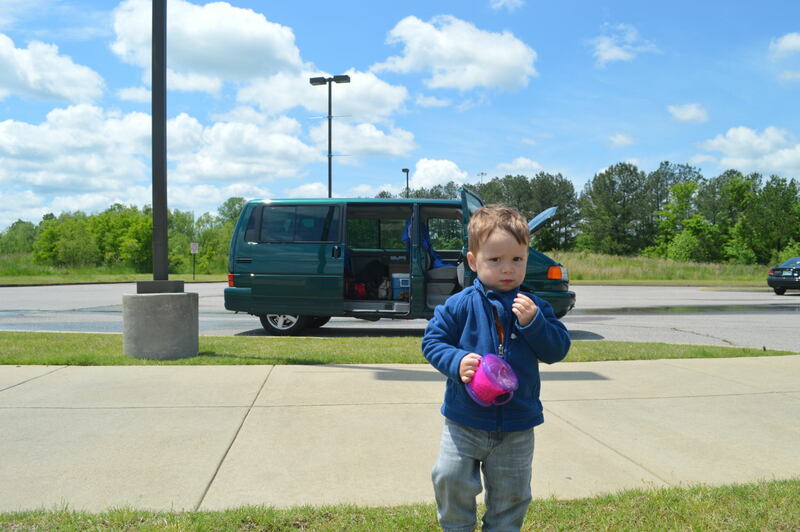 By making most of our meals on the road, in addition to minimizing cost, we minimize the time Van is stuck in a high chair at a restaurant and save those times for local places we’re itching to try (like hot chicken in Nashville or bbq in Memphis). We’ve yet to eat out for breakfast and we rarely eat out for dinner. That tends to happen when it’s been a long day, it’s getting late, and we’re famished, usually with no groceries to our name. While we also make the vast majority of lunches (picnics across America should be our trip’s tagline), lunch is our meal of choice to go out. When we’re not eating out for lunch (which is most of the time) we also get to see a different side of a place, since we typically eat our picnic lunch in a town square or other downtown green space when we’re not out on a trail. Since he spends a bit more time in the car, this additional outdoor time is always welcome and lunch almost always concludes with time to explore. Plus, if you haven’t noticed, kids’ menus pretty much stink. Seriously stink. It’s a rare day when we order off of it. He’s still got a small enough tummy that he can usually just share with us, or we’ll order him a small plate of something similar to what we’re eating. I refuse to order him chicken strips and fries every single time we take him to a restaurant. Once in a while, fine. But why is every single kids’ menu the exact same, no matter where you go? But I digress… Even though we’re on a long-term trip, I’ve found that making most of our own meals is a great money and time saver on shorter trips, as well. However, ignore this advice if you travel to Charleston, South Carolina, in which case you should eat out at least four times a day, every day, and mail me your leftovers. One month in, I find myself reflecting on the lessons I’ve learned on the road during thus far. Here are a few of my recent thoughts. Living on the road gets easier. There is a big difference between going on a several day or a week-long camping trip and living on the road. I’m not sure I completely appreciated the difference until we began this journey. Minor inconveniences that during a week vacation would be easy to brush aside become much more bothersome when you realize that you are going to have to adapt to this inconvenience for the foreseeable future. The flip side is that once you’re on the road for a while, you begin to adapt and adjust to your new normal pretty quickly (similar to the principle of hedonic adaptation). Each day it gets a little easier and any fears I have related to this journey lessen. Fewer things = Less stress. When you’re living with so few items and in such a small space, there are fewer extraneous things to deal with, clean, put away, maintain, etc. This also means that there are fewer issues that can crop up. Of course when issues do crop up, there are often fewer ways to resolve them. Even with this constraint and with the constraints of not having a permanent home or any sort of regular indoor location in which to relax, unwind, or even bathe, I’m finding that I can pinpoint, understand, and address problems easier and more quickly than when I lived with a house full of items. Naps trump everything. What, Van fell asleep in his car seat just minutes before we got to our destination? Oh well, it looks like we’ll be missing that last tour of the day. Enough said. It’s remarkably easy to get mail on the road. We had heard of general delivery, but never actually used it. Once we know that we’ll be in a certain area for a few days, I can call the local post office to confirm that they’ll receive general delivery. One post office in each town will receive and hold mail addressed to you as long as it is sent to the post office via general delivery. Then, once it has arrived, you go to the post office, show identification, and pick up your mail. Simple as that! By my second visit to the Dillard, Georgia post office, they knew my name as I stepped through the door and even gave me my mail after the post office had closed because they didn’t want to make me make another trip down the mountain. What service! Any ill feelings I may have ever harbored toward McDonalds have all but disappeared. Although we haven’t actually eaten anything at a McDonalds on this trip, we’ve made plenty of stops to their parking lot. Because we’re using an inexpensive cell phone plan, we’ve turned off the data. In order to check email or, more importantly while traveling, the weather without being charged an arm and a leg, we need to find a free wi-fi spot. Starbucks and McDonalds provide free wi-fi, but there are many more of the latter than the former, especially where we’ve been traveling. As long as we can find a McDonalds, we can check email and make sure we’re not in for any torrential downpours. And it’s probably only a matter of time before we break down and order one of their burgers or shakes. Alan jokes that Van is not going to realize that McDonalds even serves food – he’ll just think of it as a place to pick up some free internet for a few minutes. When you have the option, stay at a state or federal campground. They’re cheaper, they provide many of the same amenities, they’re cheaper, there are more tenters, they’re cheaper. And did I mention that they’re cheaper? It is amazing the difference in price we’ve seen for private and public campgrounds separated by only a few miles. It’s true that many of the private campgrounds have pools and playgrounds and game pavilions, but many of the nice public campgrounds also have playgrounds and pools (or even better, lakes) and nice, hot showers. 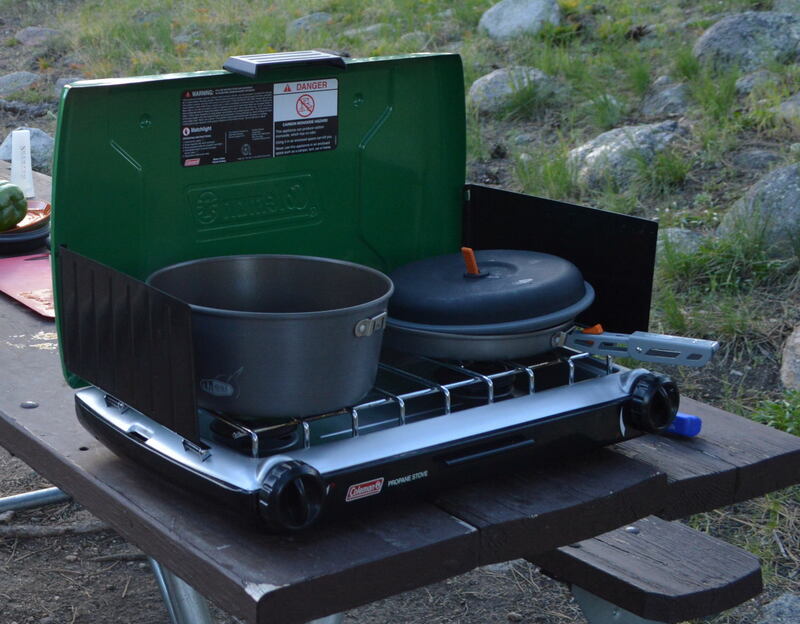 While not all public campgrounds have hot showers or even running water, with a little bit of investigating, you can save a lot of money by staying at the nicer public campgrounds. The one drawback that we’ve seen so far is that private campgrounds are not affected by the sequester or state budget cutbacks. Public campgrounds are, which is why we had fewer camping options earlier in our trip. That being said, most of the private campgrounds in those areas were also closed as we were apparently visiting too early in the season. Eggs in a cooler present several issues. First, if you buy them in cardboard, the cardboard is quickly rendered useless by the melting ice. Second, if they find their way towards the bottom of the cooler and become encased in ice, they will freeze and no amount of thawing will turn your egg back to what you once had. No matter, it’s still edible, but you may not be able to make that nice sunny side up egg you had planned. Kids don’t need many store-bought toys. Yes, I knew this already, as I’m sure almost all parents do. But it wasn’t until this trip that I truly got it. We packed away boxes of Van’s toys into storage and chose only a handful of small toys that could fit in one box for our trip. Van has played with a few things from that box over the last month, but the vast majority of the toys we brought have remained untouched. Instead, he obsesses over rocks, leaves, and sticks (especially sticks). He also loves climbing steps, over big logs, across bridges, and up and down hills. Our evenings are spent to the tune of “more sticks, more sticks, more big logs, more big logs” on repeat while Van scours the campsite for sticks and logs to make a fire. He has plenty of toys at his disposal, just not the ones we packed for him.